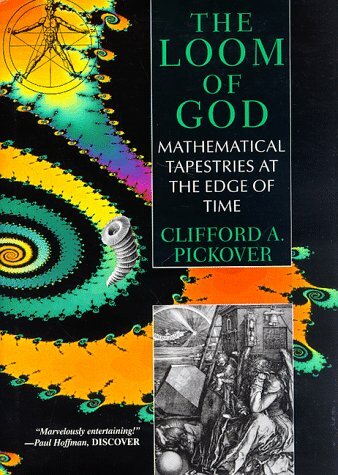 Mathematics, Edge of Time, and The Loom of God . . . If you are seeking inspiration for a wild and wacky yet creative idea for a project or assignment or just a thought-provoking read, I suggest indulging in one of the books by Clifford A. Pickover – author of forty books on such topics as computers and creativity, art, mathematics, black holes, human behavior and intelligence, time travel, alien life, religion, medical mysteries, and science fiction. For a look inside some of these titles, click here. This entry was posted in Art & Design, Biology, Chemistry, Computer Science, For Faculty, For Graduate Students, For Students, Mathematics & Statistics, Publications and Research, Resources, Uncategorized. Bookmark the permalink.